They say that “seeing is believing,” but there are magical times when that old saying seems dramatically challenged. Such was the case last Saturday night when a unique concert titled “FRANK. The Man. The Music” was presented at the Cynthia Woods Mitchell Pavilion in The Woodlands, Texas. 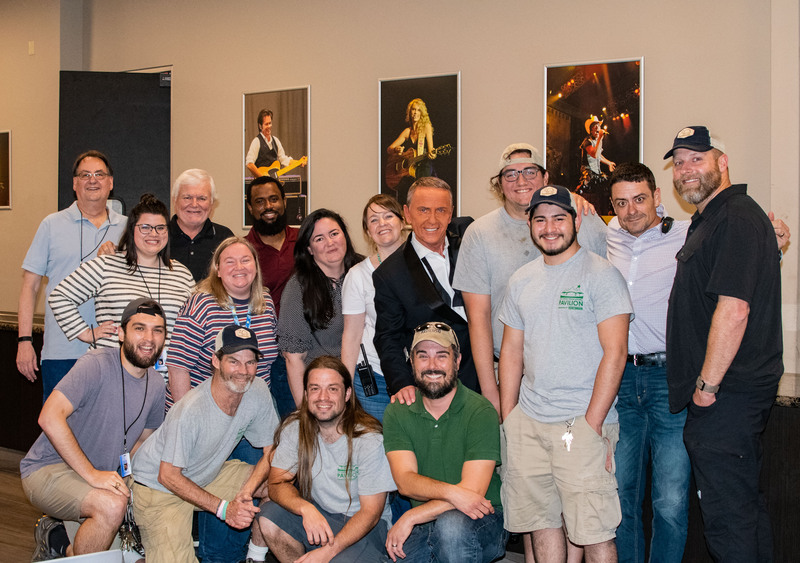 Houston area fans of “Old Blue Eyes” were out in force, and although the beautiful venue was not at full capacity on that pleasantly warm spring evening, those fortunate enough to be in the audience would see and hear an event that few would soon forget. 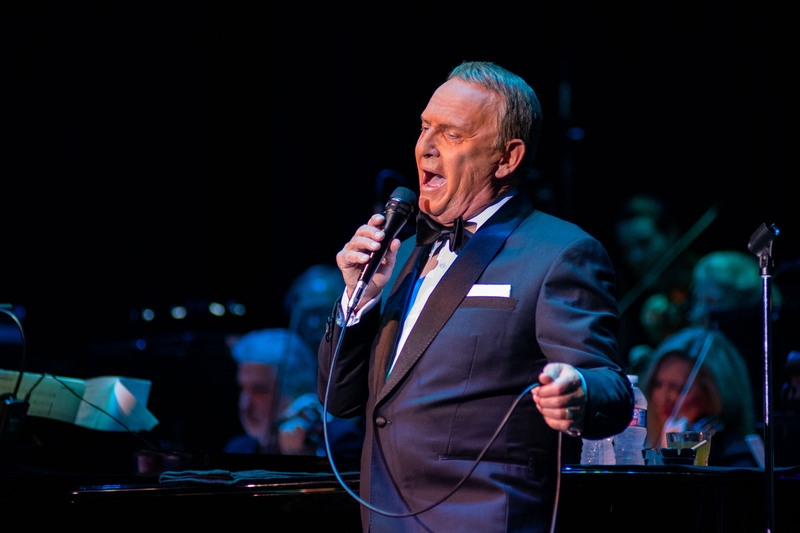 In a word, the performance of Bob Anderson* so thoroughly embodied the sound and spirit of the late, great, Frank Sinatra, that it was simply remarkable. To illustrate that, I harken back to some forty years ago when I had the pleasure of escorting my late mother to Radio City Music Hall to see Sinatra in concert. It was a more mature voice than that of the Capitol Records era years before, but it was very wonderful nonetheless. The point I would like to make is this. 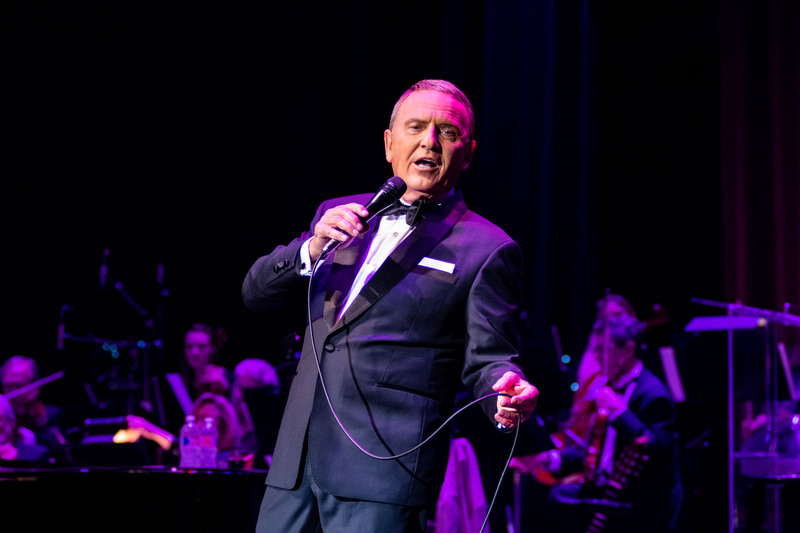 If, on that occasion four decades ago, Mr. Bob Anderson could have magically walked out on that Music Hall stage in place of Frank Sinatra, I venture to say he could have sung the entire concert and fooled the majority of the audience in the process. 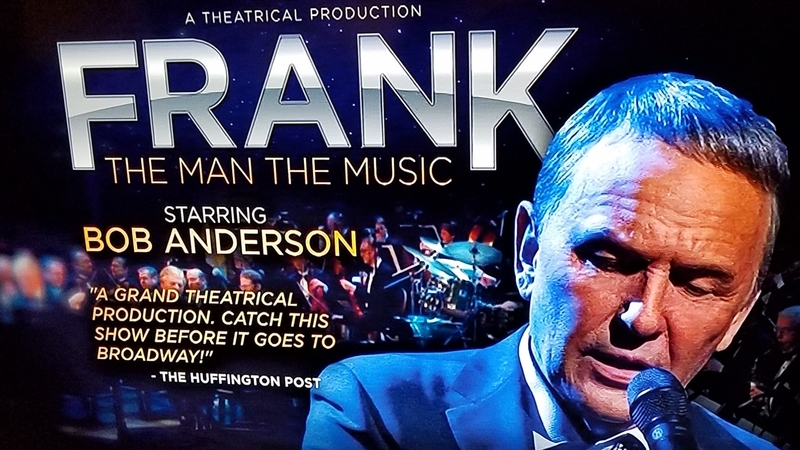 Sporting an elegant black tuxedo at Saturday’s performance, Anderson’s physical appearance, voice, gestures, mannerisms, and overall attitude of “cool,” made it appear he was spiritually “channeling” the Great One. It was breathtaking to see, and an utter joy to hear, accompanied by the 32-piece Vincent Falcone Orchestra that included many talented Houston-area musicians borrowed for the occasion. All of this would be skillfully guided by renowned pianist and Musical Director, Joey Singer. Then came a joyful celebration of Chicago with the Sammy Cahn/Jimmy Van Heusen tune, “My Kind of Town.” Gently tinkling on the ivories with “In the Wee Small Hours,” conductor Singer led into Anderson’s shadowy, well-crafted and melancholy saloon song medley featuring, “Here’s That Rainy Day,” and then, with drink in hand, Johnny Mercer’s classic, “One for My Baby.” Then, with thoughtful instincts for every phrase, Anderson delivered a captivating, “Don’t Worry ‘Bout Me.” The snazzy “Luck Be a Lady,” that followed was full of all the energy, power and Vegas pizazz that we associate with Sinatra. A hauntingly beautiful, “It Was a Very Good Year,” proved Anderson’s skill as a master story-teller. It may have been a bit over-long, but there was an amusing re-enactment of a recording studio session to perfect the final cut of, “I’ve Got the World on a String.” Then came the romantic and rhythmic sounds of Brazilian composer, Antônio Carlos Jobim, as Anderson offered a smooth and relaxed, “In My Loneliness,” and the visually seductive, “Girl from Ipanema.” A brassy, “Here’s to the Band,” celebrated the musicians backing up the star, and then the obligatory, “New York, New York,” had all the dazzling excitement we expect from that Sinatra standard. An absolutely stunning, “Old Man River,” was followed by a sensational, “All the Way,” that seemed it must be the grand finale. But the indefatigable Anderson kept right on rolling with a medley of touches from, ”Witchcraft,” “Strangers in the Night,” “Fly Me to the Moon,” “Night and Day,” “The Summer Wind,” “That’s Life,” and, of course, the Paul Anka classic, “My Way.” Amid the long and continuing cheers of the standing ovation that followed, many patrons started to head for the exits. After two hours without an intermission, imagine their surprise when the star launched into yet another gem with one of the richest jewels of the evening as he beautifully sang the lovely, “Send in the Clowns.” Here’s hoping the rumors are true that this show may be heading for Broadway. New York, New York will be ready! This entry was posted in American Theatre Critics Association, ATCA, Broadway, BroadwayStars.com, Concert Reviews, Cynthia Woods Mitchell Pavilion, Houston Chronicle online, Houston Community Newspapers online, The Courier Columns, Theater Reviews, ThePeoplesCritic.com, Uncategorized and tagged Antônio Carlos Jobim, Bob Anderspn, Capitol Records, Frank Sinatra, Jimmy Van Heusen, Joey Singer, Johnny Mercer, Las Vegas, Nelson Riddle, Paul Anka, Radio City Music Hall, Sammy Cahn, Vincent Falcone Orchestra. Bookmark the permalink. Spring Awakening opens tonight and runs through Saturday. Evening performances are all at 7:00 and there is a 3:00 matinee on Saturday, as well. We’d love for you to see it, if you’re available. Sounds like a great show!